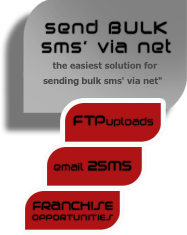 CompSMS is a leading provider of web-based SMS services. We make it possible to send and receive SMS messages to and from most major countries in the world. SMS text messaging is the most widely used data application on the planet, with 2.4 billion active users, or 74% of all mobile phone subscribers sending and receiving text messages on their phones. We also offer franchises and business partners programs.